The opulence of the private residence, located in the very heart of Moscow, just across from the Kremlin, became a backdrop both for the exhibit itself, brought to Moscow by members of the Association of Art & Antique Dealers (LAPADA) and elegant Moscow society, invited by Natalia Legotina, the event’s organizer from the Russian side. 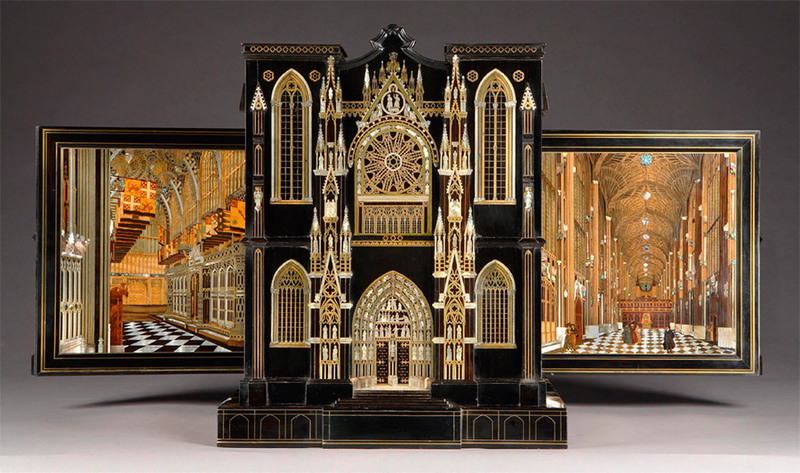 Whilst the value of low - and middle-range European antiques has been declining rapidly, at the top of the market where the offering is almost museum-worthy, it’s a completely different story. 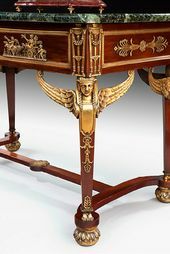 People willingly invest in the arts and actively spend on the fine antique furniture of the 18th and 19th centuries. 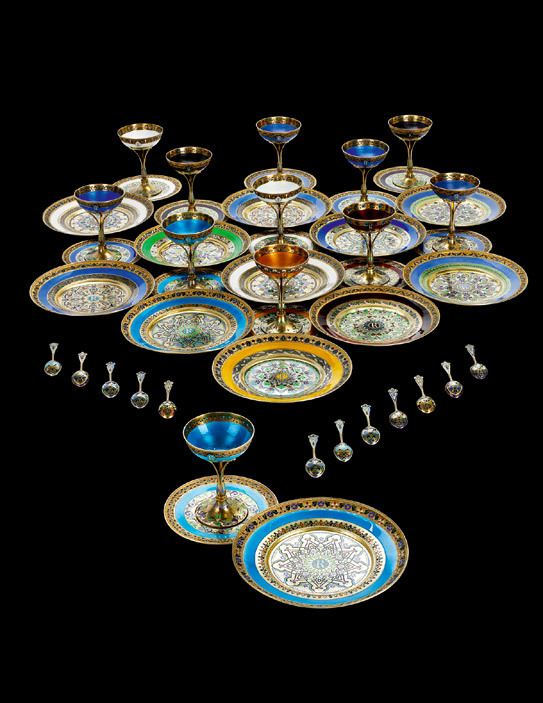 It’s therefore not surprising that the magnificent collection of furniture, porcelain and paintings, mostly priced well into six figures gained such interest amongst the affluent residents of Moscow. Of the many pieces brought to the Moscow Expo, one of the most interesting was the Hausburg Cabinet, signed in marquetry inlay "F.L. Hausburg Fecit Liverpool, Begun 1840, Finished in 1857”. 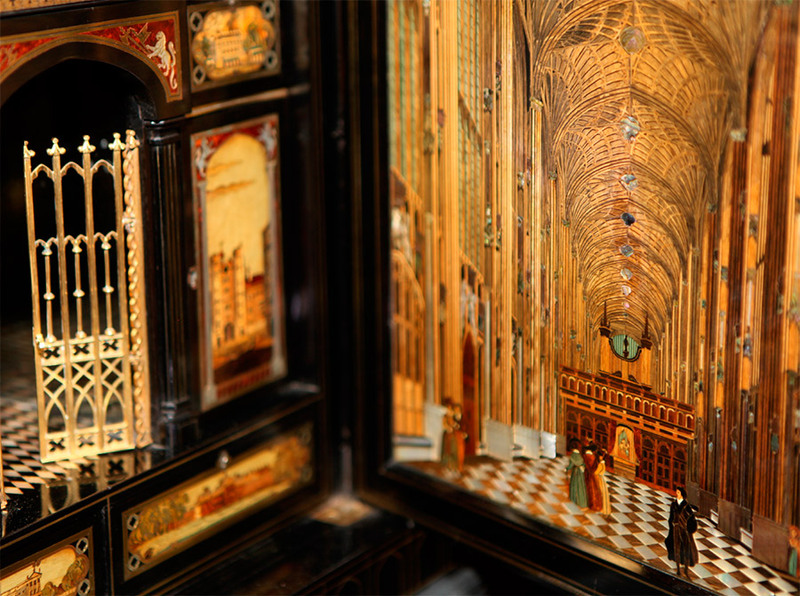 The jewel in the crown of the displayed collection, the piece was made from elegant materials such as ebony and pearl with intricate marquetry work and filigree displays of the facades of important British buildings including Westminster Abbey and Windsor Castle. 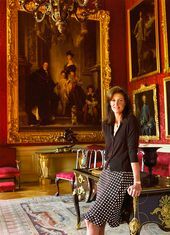 Until recently, the cabinet has been in the possession of Hausburg’s heirs but it is now on sale at Butchoff Antiques - the leading supplier of English and Continental furniture, mirrors and objects for 18th and 19th century interiors. Of equal merit was the extraordinarily rare and particularly fine William and Mary kingwood oyster-veneered and rosewood cross-banded cabinet on chest made by Thomas Pistor of London made in around 1690 and brought to the Expo by W. R. Harvey & Co (Antiques) Ltd. Hallidays Fine Antiques brought a very fine French gilt bronze centre table, c. 1880 with moulded Patricia green marble top above a decorative frieze with two opening drawers to one side and dummy drawers to the reverse with cast gilt bronze and classical decoration. Also worth mentioning is the centre table attributed to Holland and Sons, made from beautiful thuya wood with amboyna, tulipwood and with satinwood marquetry inlays with a circular top raised upon a tripod base, made in London in c. 1860 and brought by Wick Antiques Ltd. There was also a striking full size Victorian billiard table made for James Blyth, 1st Baron Blyth, by Cox & Yeman c. 1895 and included by Billiard Room Ltd.
Connoisseurs of fine porcelain could hardly stay indifferent towards a remarkable Meissen vase of 1880, decorated against a cobalt blue ground with detailed gilded scrollwork and embellishments. 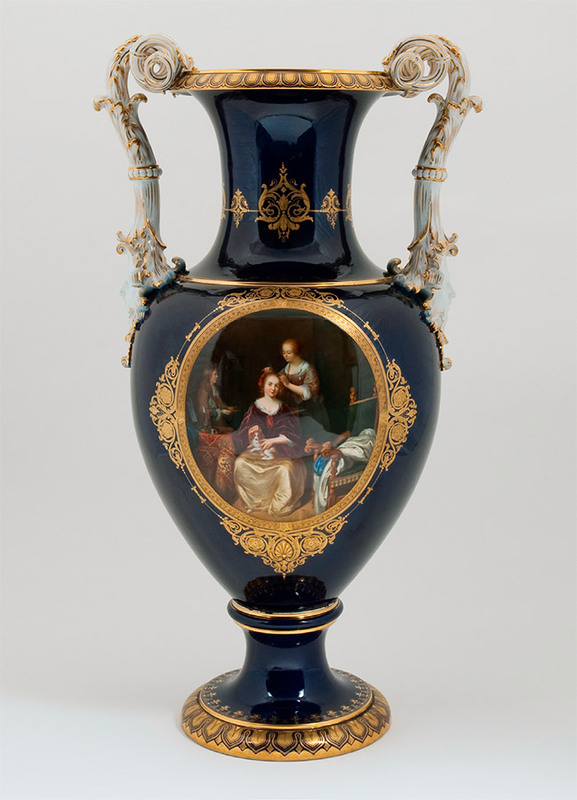 The panel on the front of the vase is after a painting by Caspar Netscher, while the reverse is after a painting by Gabriel Metsu and was brought by David Brower Antiques. The Mayfair Gallery displayed a magnificent Russian silver-gilt and enamel decorated dinner service, 11th Artel-made during the rebellious 1908-1917 period. In stark contrast but of equal interest was the copper and wood wind tunnel model of a Tupolev Tu-22, commonly known as "Blinder”. This Cold War British military intelligence model of a Soviet Tupolev supersonic bomber was made at RAE Farnborough during the cold war in 1960 and brought by Hatchwell Antiques. 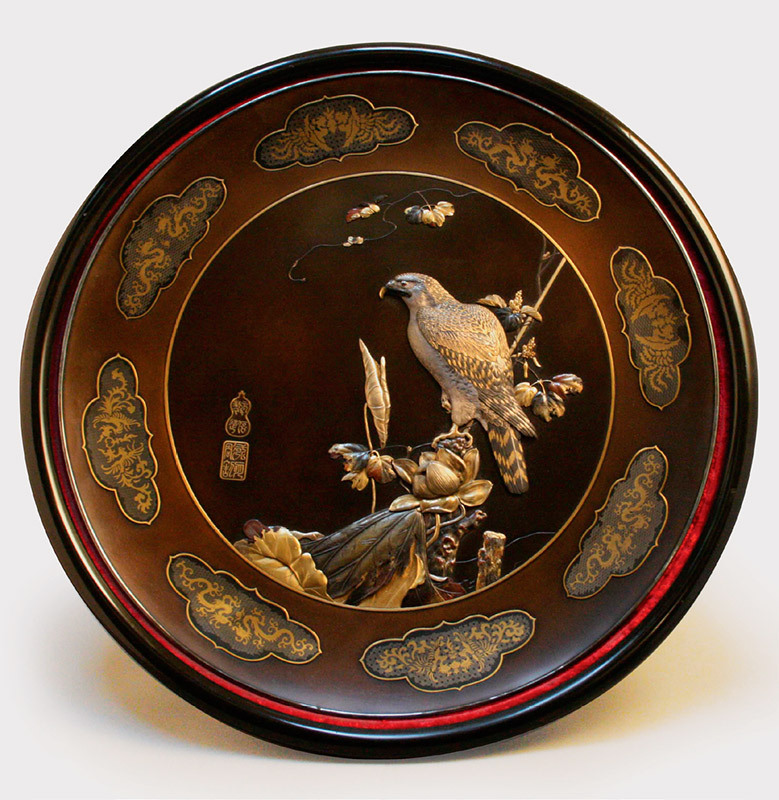 The current trend of oriental art renaissance throughout the world also found its place in the Expo’s exhibition such as the fine Japanese multi-metal dish depicting a hawk perched on foliage surrounded by decorative designs, made by MASANOBU and engraved by KAZUAKI from the Meiji period, c. 1880 and brought by Kevin Page Oriental Art Ltd. Also a wood netsuke of a Dutchman in Chinese silk jacket, soft narrow trousers and a Korean hat made in the 18th century and brought by the leading dealer of Japanese fine art, Rutherston & Bandini Ltd not only added oriental dash to the “Europeanwise” collection, but also attracted the attention of Russian professional orientalists. It is certainly worth mentioning the wonderful samples of British fine arts, represented by The Mission, including an outstanding work by John Tunnard, A.R.A., entitled “Phantom”, and the dignified samples of modern British paintings brought by Lucy Johnson, plus the painting by John Atkinson Grimshaw dated mid-19th century from Trinity House Paintings. 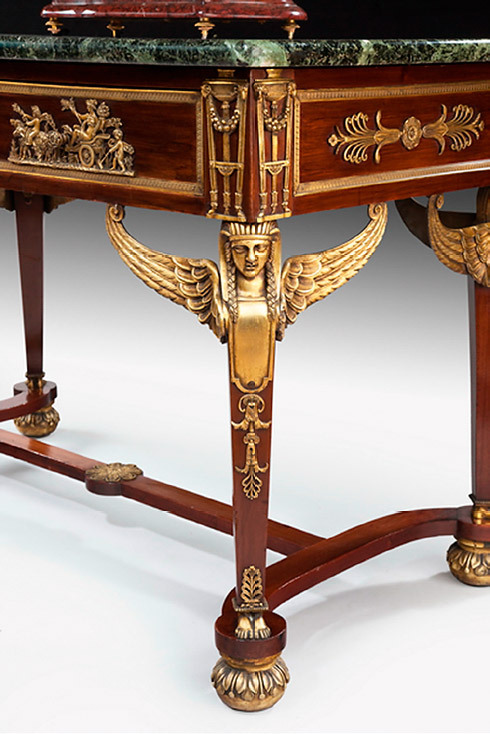 The wide selection of furniture and art displayed successfully illustrate the breadth of the current offering from the British Art & Antiques market. 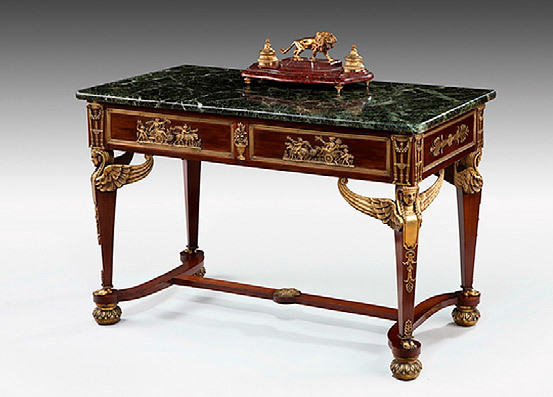 It is of note that although this market is far older and more developed than that in Russia, there is a strong culture of the use of antiques in modern Russian private interiors. Russian interest in the antiques market is strong, showing a great potential for future market development and the growth of trade relationships between Russian customers and British dealers. When considering the purchase and placement of antiques in one’s own interior, it raises questions such as, where and how to buy, potential obstacles that may occur during the purchase, and how best to place these antique items in a home. 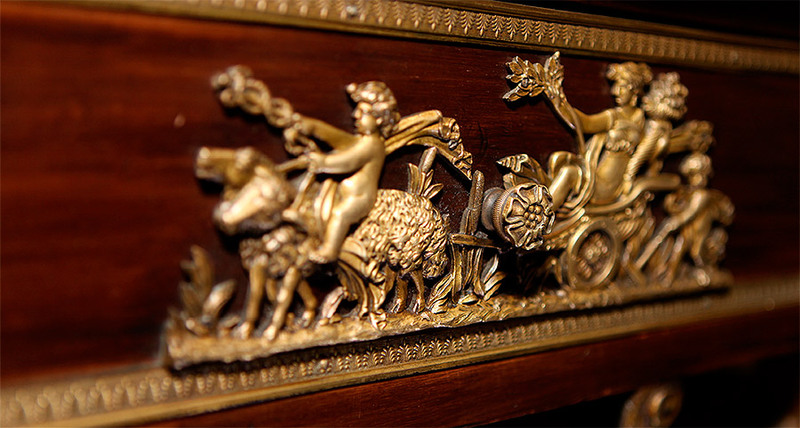 There are a plethora of reasons for the purchase of antiques - as a collector, an investment, or some may choose to buy antiques for their decorative and functional qualities. Whatever entices the person to make their purchase, there are a variety of different ways to do this - buying from an antique dealer, at a furniture auction, antique fairs or even car boot sales. Each of these has their own pros and cons - for instance, buying from a dealer suggests that the item should be genuine. Moreover, dealers are usually very knowledgeable and can provide the buyer with complementary expert advice making the buying experience a pleasurable one. Another undisputable advantage is the ability with some dealers to try the object in situ, which is impossible to do with pieces bought at auctions, as well as the opportunity to potentially return or exchange purchased items. When purchasing at auction, it’s worth taking into account that although the price may be better, there are premium costs and possible restoration charges to consider, plus you may have to compete against other dealers or private buyers which can potentially drive the price up. It’s also worth noting that the catalogue pictures are deceptive and it’s always preferable to view in person, although price guides can be helpful. Buying from Antique Fairs has various advantages - you may get a better price, although the stands are expensive and there is more choice in one venue which saves time, plus there is often more of a selection of styles and they tend to be good for decorative accessories. 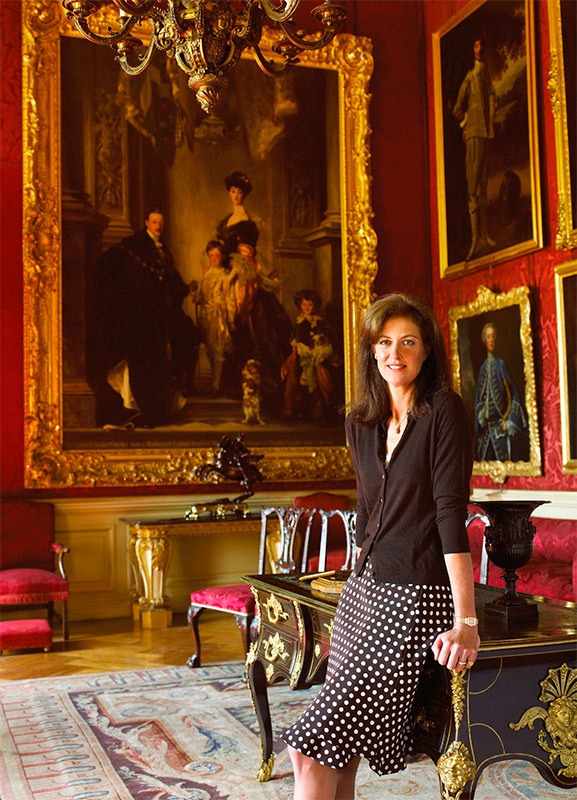 When selecting and purchasing fine art and antiques, it’s worth considering some practical points, such as the scale and proportion of the piece in relation to the room and individual area where they are to be situated. Don’t be afraid of using overscale pieces, they are better than those which are too small and will help create a striking impact in a room. Mixing periods and styles can work but you need to have an experienced eye, and it is better to mix a variety of woods rather than styles. If you are buying antiques for decorative purposes, consider the scale, shape and colour and a design that goes with the room - sometimes you only need one prominent piece to make a visual impact. Often buyers worry about how different styles and periods mix within a house’s interior, and some period houses do dictate a certain style - however most houses have evolved along with changing styles so mixing these is often appropriate. It’s much more acceptable today to mix antique furniture with contemporary architecture and vice versa. If the house is new and has no particular style, adopt a style or invent one, but be consistent with your furniture. The mix of periods and styles can work but you need to have an experienced eye - don’t be influenced by trends, they don’t last, especially artefacts from travels. 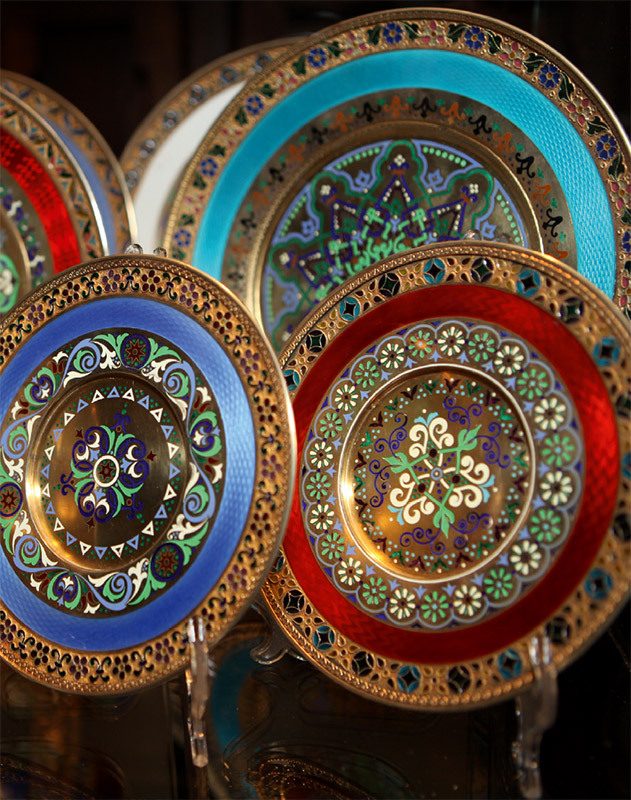 Try to choose pieces that are beautiful and solid rather than pretty, and unusual pieces rather than ubiquitous. Don’t be afraid to buy and sell pieces as your needs change or budget allows. Working on an interior, use anchor pieces which can be large imposing pieces such as a piece of furniture, painting, mirror, rug, statue or collection. These pieces can be a contrast from the rest of the room; an entire room can be created around one piece and in particular one large piece has more visual impact than one ten times smaller. These anchor pieces are often bought from the heart, not the head. Some fine art collectors will create a display or collection which often provides a conversation point and shows the personality of the buyer and their interests. They also add character and colour to a room but tend to look better together rather than spread out. Always take care with lighting and background colours and textures and keep in mind that all collections should be at eye level when standing or sitting. 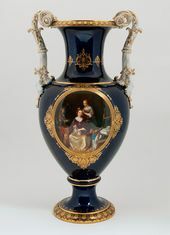 The panel on the front of the vase is after a painting by Caspar Netscher (1639-1684). A wood netsuke of a Dutchman in Chinese silk jacket, soft narrow trousers and a Korean hat. Unsigned. 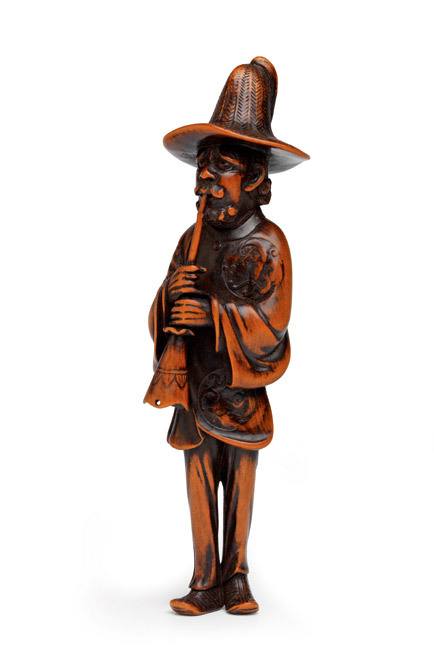 Height: 15.3 cm, c. 1780. A Russian dinner-service. 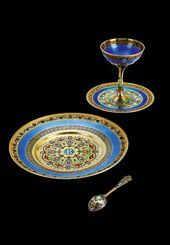 Silver-gilt, enamel. 11th Artel. Moscow, 1908-1917. 48 pieces, comprising: 12 dinner plates, 12 sherbet cups,stands and spoons.